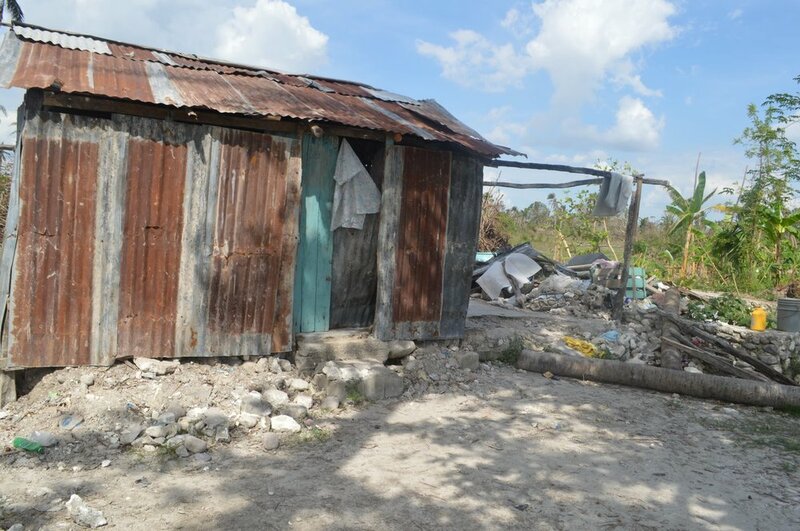 More in our week-long series regarding the work in Les Cayes as seen through the eyes of our co-worker, Louis Hudson. Moise Marieta. A few words cannot tell all her story, but by the privilege we had to talk with her. We know that she is a mother of seven children, and Hurricane Matthew destroyed her house. She used to sell food (Manje Kwit), but the life she is actually living now is to stay nearby the beach and wait until someone gives her some fish to sell . . . if only they had a good day fishing. This is most difficult. When we got to where she was supposed to live, we saw the place. We can't call this place a house any longer. Some of her neighbors told us that since the hurricane all that she does is to live nearby the beach. We could not help her this trip. There are so many people, so many needs . . . Time and funds are limited. More from Hudson tomorrow . . .